Looking to toast to the weekend the right way? 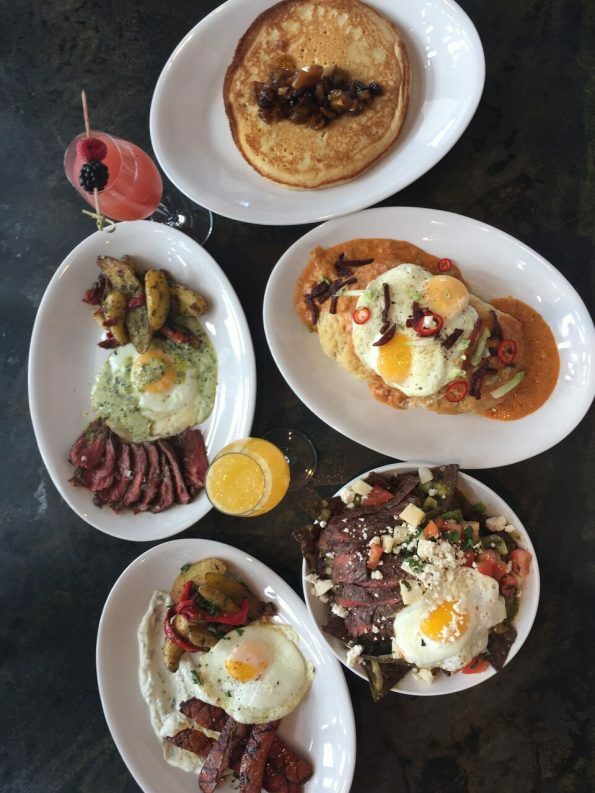 Come celebrate the weekend while brunching with the #jomies at Joe’s Midnight Run in Central Phoenix, every Saturday & Sunday from 9:30am- 2:30 pm. Enjoy brand new additions to the “It’s Midnight Somewhere” weekend brunch menu, including $3 mimosas and Bellinis, plus $8 signature cocktails & Bloody Mary’s, glasses & bottles of wine, 16 oz pint & 40 oz Beer and much more! Chef Michael Goldsmith is also serving up brunch time favorites with an expansive list of both breakfast and lunch choices to choose from. Breakfast options include Banana French Toast with brown sugar caramel and brioche ($9), Biscuits and Gravy featuring house-made biscuits, chorizo gravy, fried eggs and Fresno Chiles ($10), Shrimp & Grits with scallions and grilled shrimp ($10), Shakshuka featuring tomatoes, zucchini, spices and eggs ($9) and many more breakfast favorites. The brunch menu also includes options for the lunch enthusiast with plates from the Notorious BIG Burger with beef, braised pork, cheese and chicharrones ($14), Milanesa Sandwich with beet cutlet, lettuce, tomato and fried egg ($14), or enjoy something on the lighter side from salads to flatbreads and much more.